In 2008, Ramin Djawadi made a splash in the soundtrack pond with his musical contribution to Iron Man. It was fast, it was sleek, and it was ridiculously fun to listen to… especially if you’re cruising down the highway with the top down. 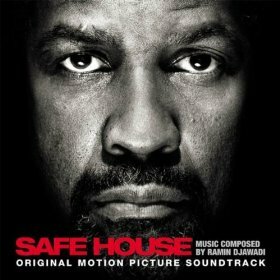 Now, four years later, Djawadi has written another score that should make people sit up and take notice: Safe House. It’s arguably some of his best work yet – a stylish thriller score with ambient soundscapes and simmering intensity. A keeper, for sure. The first cue, Safe House, is the ideal mood-setter for the rest of the album, a tense and ominous blend of strings and electronica, accented by percussion. Get In The Trunk and Off The Grid showcase Djawadi’s tremendous talent for handling action music. Be Better Than Me is sober and meditative, as is Truth, which develops into a lovely crescendo toward the end. I’ll Take It From Here is the final track: but instead of offering a quiet wind down, Djawadi “ups the stakes” so to speak, closing the score with a bang that’s just as exciting as anything proceeding it. “In wartime, sinners often rise to remarkable levels of sacrifice for causes that cannot compare with Christ. The greatest cause in the world is joyfully rescuing people from hell, meeting their earthly needs, making them glad in God, and doing it with a kind, serious pleasure that makes Christ look like the Treasure He is. But oh, what bold risks and daring sacrifices these lesser causes have inspired! On February 19, 1945, the battle for Iwo Jima began. It was a barren, eight-mile-sqiare island six hundred miles south of Tokyo, guarded by 22,000 Japanese prepared to fight to the death (which they did). They were protecting two air strips that America needed in the strategic effort to contain Japanese aggression after Pearl Harbor and preserve the liberty that America cherished. It was a high cause, and the courageous sacrifice was stunning. The hard statistics show the sacrifice made by Colonel Johnson’s 2nd Battalion: 1,400 boys [many still teenagers] landed on D-Day; 288 replacements were provided as the battle went on, a total of 1,688. Of these, 1,511 had been killed or wounded. Only 177 walked off the island. and of the final 177, 91 had been wounded at least once and returned to battle. It had taken twenty-two crowded transports to bring the 5th Division to the island. The survivors fit comfortably into eight departing ships. The american boys had killed about 21,000 Japanese, but suffered more than 26,000 casualties doing so. This would be the only battle in the Pacific where the invaders suffered higher causalities than the defenders. The Marines fought in World War II for forty-three months. Yet in one month on Iwo Jima, one third of their total deaths occurred. They left behind the Pacific’s largest cemeteries: nearly 6,800 graves in all; mounds with their crosses and stars. Thousands of families would not have the solace of a body to bid farewell: just the abstract information that the Marine had ‘died in the performance of his duty’ and was buried in a plot, aligned in a row with numbers on his grave. Mike lay in Plot 3, Row 5, Grave 694; Harlon in Plot 4, Row 6, Grave 912; Franklin in Plot 8, Row 7, Grave 2189. I am deeply moved by the courage and carnage on Iwo Jima. As I read the pages of this history, everything in me cries out, ‘O Lord, don’t let me waste my life!’ Let me come to the end – whether soon or late – and be able to say to a family, a church, and the unreached peoples of the earth, “For your tomorrow, I gave my today. Not just for your tomorrow on earth, but for the countless tomorrows of your ever-increasing gladness in God.” The closer I looked at the individual soldiers in this World War II history, the more I felt a passion that my life would count, and that I would be able to die well. 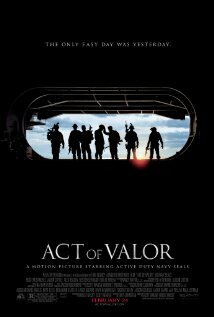 Film Dissectors – Click here to read my in-depth review of Act of Valor (2012). Book Review + Giveaway – Christina Langella is giving away 2 signed copies of Jon Cardwell’s Christ and Him Crucified. I’ve told you before what a gem this book is, so enter your name in the drawing for a chance to win! You Must Suffer – Shared by Michael Wright (who always seems to be finding awesome stuff all over the internet). Red Rain Deleted Scenes #1 – Deleted scenes on a DVD are always fun to look through. But who said books couldn’t have ’em, too? Fact-based story. Superb direction. Painstakingly authentic combat sequences. And a cast led by active-duty Navy SEALs. Wow. This may not be a perfect movie, but it’s a welcome antidote to the cynicism that pervades liberal Hollywood. A keeper for sure. If you listen to the radio at all, chances are you’ve heard one (or both) of these popular songs. The first is “Paradise” by Coldplay. You can listen to the original here, and then listen to Mike Tompkin’s a capella version below. You don’t have to be a fan of the song to appreciate this guy’s talent. The second song is “Rolling In the Deep” by Adele. You can listen to the original here. Again, you don’t have to be a fan of the song to enjoy this clever rendition of it.